NEXT | The Queue: It will now forever be known as "Diblo"
Way back when Mists of Pandaria launched, we were all pretty much aware that Garrosh was going to be the expansion’s final villain. Sure, we didn’t know how we were going to get there, but his role wasn’t exactly out of left field. Garrosh had been kicking up dust and getting under people’s skin since Wrath. For Alliance players, taking the fight to Garrosh was welcome revenge for what had been done to Theramore. For Horde players…it was a little different. I remember playing through the Jade Forest — the original version, not the revamp —the early days of Mists beta. There was this sinking sense of foreboding as I made my way through the quests. I was trying to gain some kind of foothold in the strange new land I found myself in and getting acquainted with its residents. My Horde cohorts seemed to be focused on building an army and ripping the other faction to shreds, to the exclusion of all else. And when those two sides finally clashed, they managed to destroy one of the most sacred objects in the Jade Forest – a monument the Pandaren had been building for countless ages. As it came crashing down, it really sank in that number one, this was my faction, and number two, I didn’t like it. Theramore already bothered me, but this? This was just the final nail in the coffin. I spent the majority of the expansion feeling incredibly uneasy about the faction I’d chosen to play. When the time came to take Garrosh down, I was happy about it. So here we are again in Battle for Azeroth. I know that people keep pointing out that this is Garrosh 2.0 – but I don’t think that’s what we’re looking at here. However…yes, there are definitely similarities. Both leaders seem to be equally dead set about crushing the opposing faction. And both leaders summon that same sense of foreboding, albeit for slightly different reasons. Garrosh wanted a strong, powerful Horde – an army more so than a faction. Sylvanas wants…something different. I’m not sure what that thing is, but whatever it is, I don’t think she has the best interests of the Horde in mind. And once again, I’m faced with that feeling of I don’t like this. In Mists, I was happy to join Vol’jin’s rebellion. 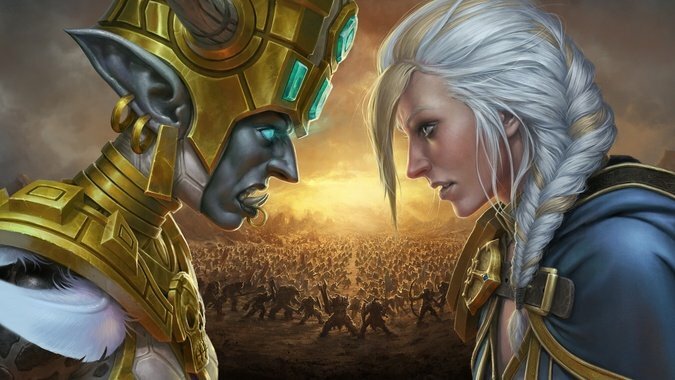 In Battle for Azeroth, you get to make that choice yourself, to a degree. 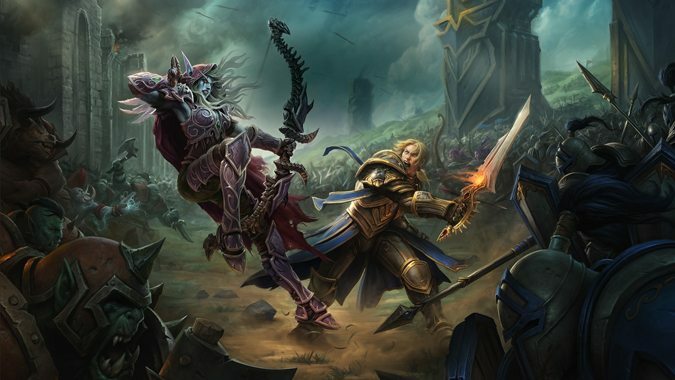 You can help out Saurfang, or you can ignore the fact that he’s out there somewhere and continue to side with the Banshee Queen. Needless to say, I’m on Saurfang’s side – sorry, I can’t help it. Way back in Warcraft 3, a young Warchief named Thrall set out across the world to find his destiny, and the destiny of his people. Along the way he banded together with others – outcasts, groups that were struggling to find a foothold in the world. They made the new Horde – a Horde set not on conquering a new world, but on trying to survive in the world they were in. As a much younger person at that point, I appreciated it – I mean, I was doing the same thing out here in the real world, just trying to survive and get by. That definition of what makes the Horde keeps shifting and changing depending on who happens to be in charge. My opinion of the Horde keeps shifting and changing right along with it. I can’t imagine I’m alone in this – so I turn the question to you guys, because I’m curious where you stand. And heck, let’s throw it open to Alliance players as well, because the Alliance has shifted a lot over the years too. Has your opinion of your faction changed over the years? Do you agree with where they stand now? What drew you to your faction to begin with? Is that thing that pulled you in still present, or are you questioning why you’re still a member of that faction? And given how old the game is, I’m curious – were that faction divide to suddenly disappear, how would you feel about it?